Directed by SciFi master Ridley Scott, this years The Martian has all the makings of a space exploration epic to remember. 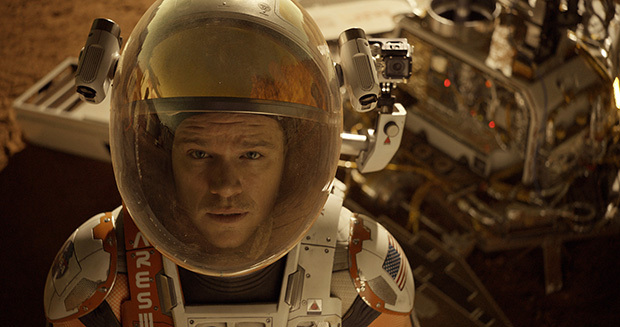 The film stars Matt Damon in the role of Mark Watney, an astronaut who is presumed dead after a fierce storm separates him from the rest of his crew during a manned mission to Mars. Stranded and alone, Watney needs to find ways to survive with only meagre supplies, as well as discover how to let people on Earth know that he is still alive. The main stereo conversion partner on the film was Prime Focus World (PFW), which was called in by 20th Century Fox to deliver 15 minutes of stereo for the movie with the help of its award winning View-D conversion pipeline and Fusion Studio. 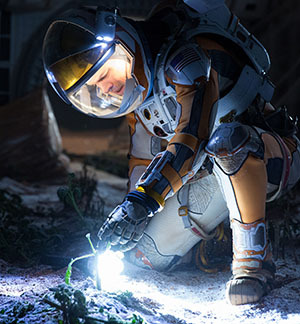 Our first job on The Martian was to stereo convert the trailer, and that really helped us understand what our clients were looking for in the feature work, begins senior stereo supervisor at Prime Focus World (PFW), Richard Baker. Having already provided the highly praised 3D conversion work for Gravity, the PFW team was certainly no stranger to projects involving science fiction or space. The team needed to convert over 200 shots for The Martian into 3D, making sure that the work both emphasized the main characters loneliness as well as perfectly matching the rest of the films stereo, most of which was shot natively on set. The client stereographer, Gareth Daley, comes from a native 3D background and has a really fine eye for detail, remembers Baker. Gareth and the team had established the native 3D look on set while they were shooting the film, most of which was natively captured. So when we received the shots we needed to convert, for example high angle aerial helicopter landscape shots that couldnt be captured with a native stereo rig, we had reference for the stereo and we could ensure our conversion matched the established look of the film. To match Ridley Scotts native look for the film, the PFW team created 3D with a more linear fall off, giving the shots a good amount of 3D depth. The resulting look made it so that even in the far background, such as in the distant hills of Mars, there was still some subtle layering between hills that could be as far as ten miles away, says Baker. Another of the things that we tried to convey is that hes on his own on this planet. We manipulated the depth to make him feel very small in this massive world. As with its work on Gravity, the PFW artists had to deal with converting space suit helmets full of reflections and refractions: elements that would be difficult to extract depth from. By using actual 3D face and helmet geometry provided by the production, the London based PFW team would matchmove and track the scans to the character on the plate, then produce a depth map that could be combined with the rotoscoping that had been created, before going through the View-D pipeline for stereo. One of the main workflow challenges in creating the stereo 3D world of The Martian was resolved by using Fusion Studio to script View-D pipeline tools specifically for PFWs shots. Ridley sharpened the footage significantly in the DI as part of the visual style of the film, and this quickly became apparent during our work on the trailer, tells Baker. This had an effect on our conversion pipeline in that subtle edge issues that you might not notice on a normal plate became noticeable on the sharpened plate. To deal with this, the shots would come from our artists as EXRs, and we would then run them through our Fusion script which would bake in a new color grade and a heavy sharpen. This meant I could view not only the plate version as provided by the client, but also a heavily graded and heavily sharpened version in the theatre, so I could easily identify any of these small edges. What we produced really hit the nail on the head for the client. If theres another Ridley film coming up, he quips, were all set and ready to go!